Releases from John Lennon, Eric Clapton, David Bowie and Crosby, Stills, Nash and Young will be among the highlights of Record Store Day 2019. The 12th annual event – a vinyl collector’s holiday – is Saturday, April 13. 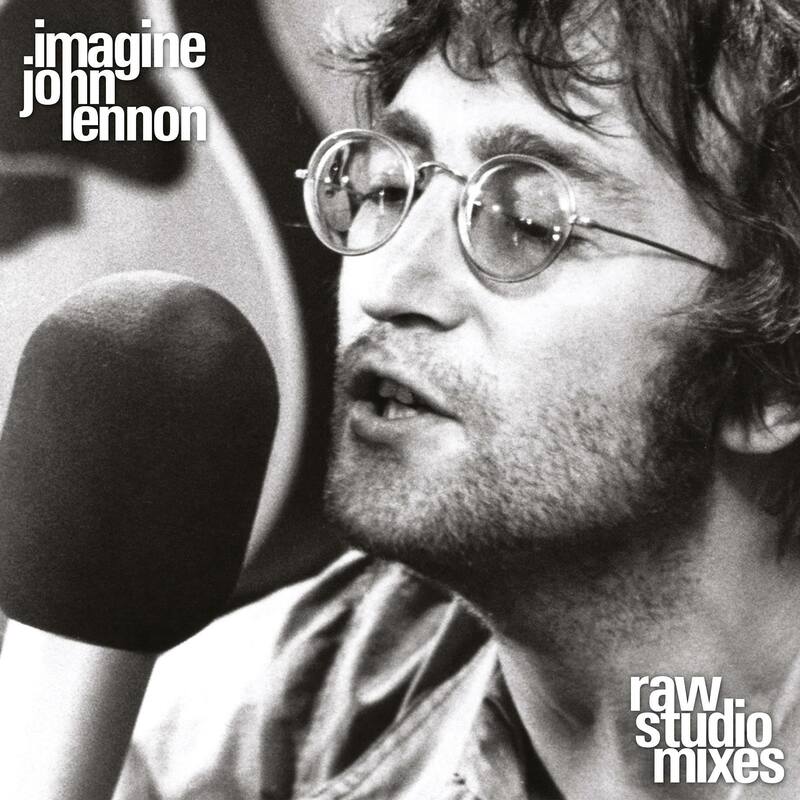 One such highlight is Lennon’s Imagine – Raw Studio Mixes, ten tracks recorded during the Imagine album sessions. These include such tracks as “Crippled Inside,” “Jealous Guy,” “How Do You Sleep?” and the title track. These mixes capture the exact moment Lennon and The Plastic Ono Band recorded each song raw and live on the soundstage located at the center of Ascot Sound Studios at John & Yoko’s home in Tittenhurst. The tracks are devoid of effects (reverb, tape delays, etc.) offering a unique, unparalleled insight & an alternate take on the record. The collection from UMe, pressed on 180g vinyl, is part of the “RSD First” releases, that will ultimately be available elsewhere. 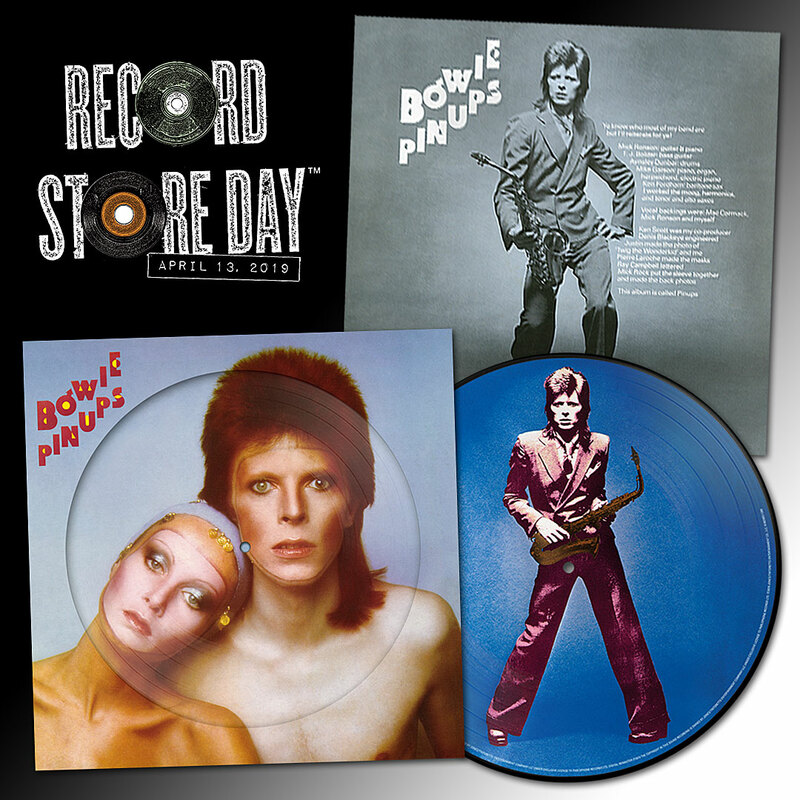 Parlophone will be issuing Bowie’s 1973 album of cover versions, Pin Ups, as a picture disc. The photo session was shot in Paris for Vogue magazine, but at Bowie’s request was used for the album instead. This same image is used for side one of the picture disc. Related: What was released last year on Record Store Day? 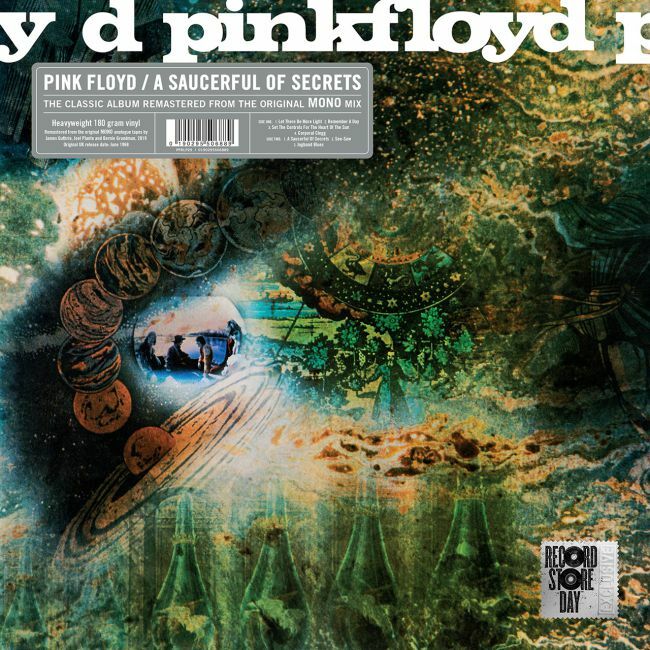 From Pink Floyd, the band’s second album, A Saucerful of Secrets, will be issued on 180g black vinyl. With a new mono remaster by James Guthrie, Joel Plante and Bernie Grundman and remastered from the original 1968 analog mono mix (a separate mix from the stereo mix done at the time), the release is the latest from Pink Floyd Records. The album’s cover artwork was the first-ever sleeve design for creators Aubrey Powell and Storm Thorgerson of the Hipgnosis design team, and was to lead to a career for them in the visual arts, including many more Pink Floyd album sleeves, among them The Dark Side of the Moon and Wish You Were Here. Robert Plant‘s album, Fate of Nations, unavailable on LP for 20 years, has been newly remastered and pressed on 180g vinyl, limited to 6000 copies worldwide. As the Lights Go Down is culled from three 1984 live shows in Oakland, Calif., by British stars Duran Duran. The concerts were filmed for TV specials that aired around the globe, but no official products were ever released and, until now, all that’s been available were unofficial bootlegs, which have circulated for years. For the first time ever, tracks from these extraordinary live shows will be officially available in the form of a limited-edition (5,500) double vinyl LP. 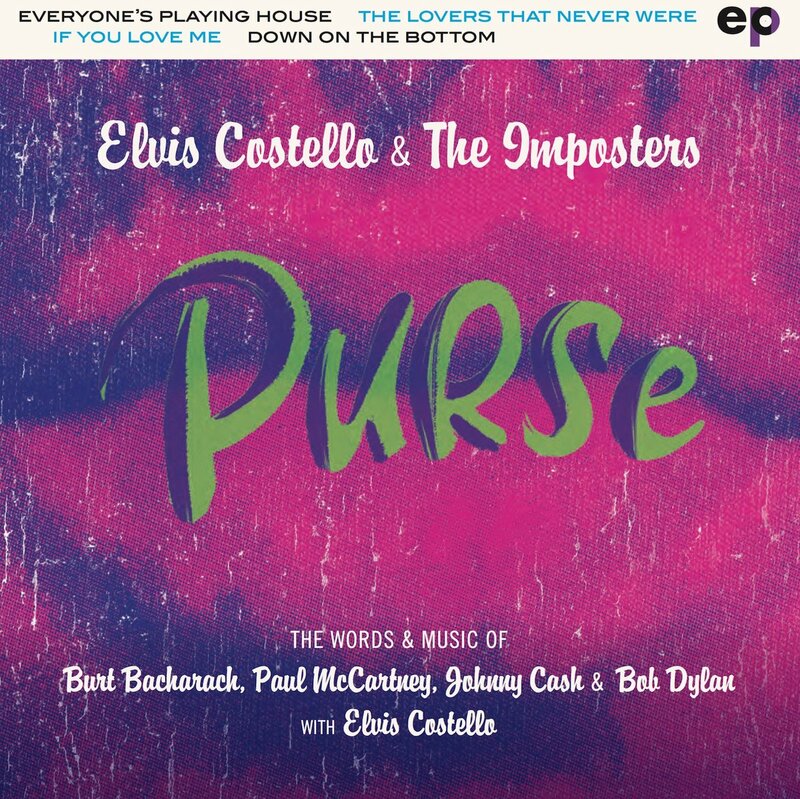 The 11-song set features newly remastered live tracks. 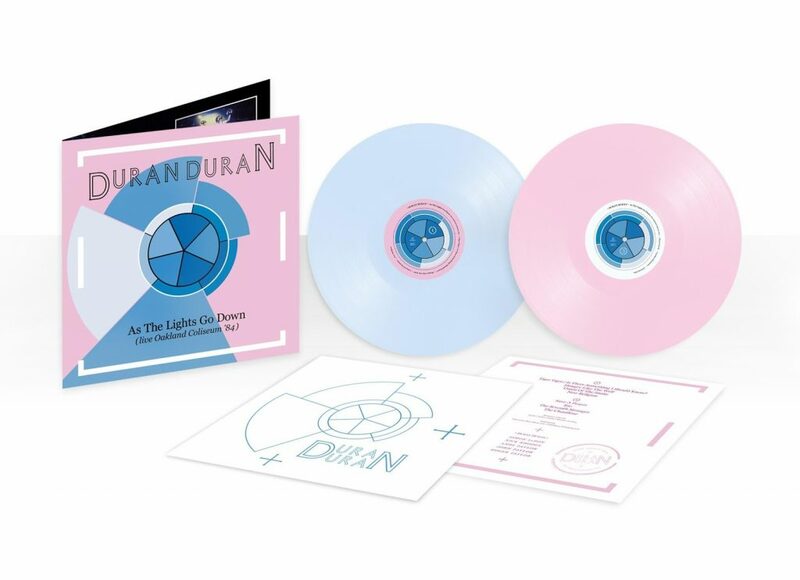 Disc one is double-sided and in blue, and disc two (in pink) is single-sided with the flip side etched with the album’s artwork. It is all housed in a gatefold sleeve featuring photography by the rock photographer Denis O’Regan. Here are some other RSD 2019 titles to look for. Each artist and release title is followed by the label, format and number of copies being made available. Allman Brothers Band—Bear’s Sonic Journals: Fillmore East. February 1970 [Allman Brothers Band Recording Company, LP, 1500] A live recording compilation drawn from three nights of shows in February 1970. Recorded by legendary Grateful Dead soundman Owsley Stanley. Canned Heat—Remember Woodstock [Frida, LP, 1000] Features rare live tracks covering various concerts during their five-decade history. Hand-picked “Woodstock era” tracks from Canned Heat’s own Fito de la Parra. 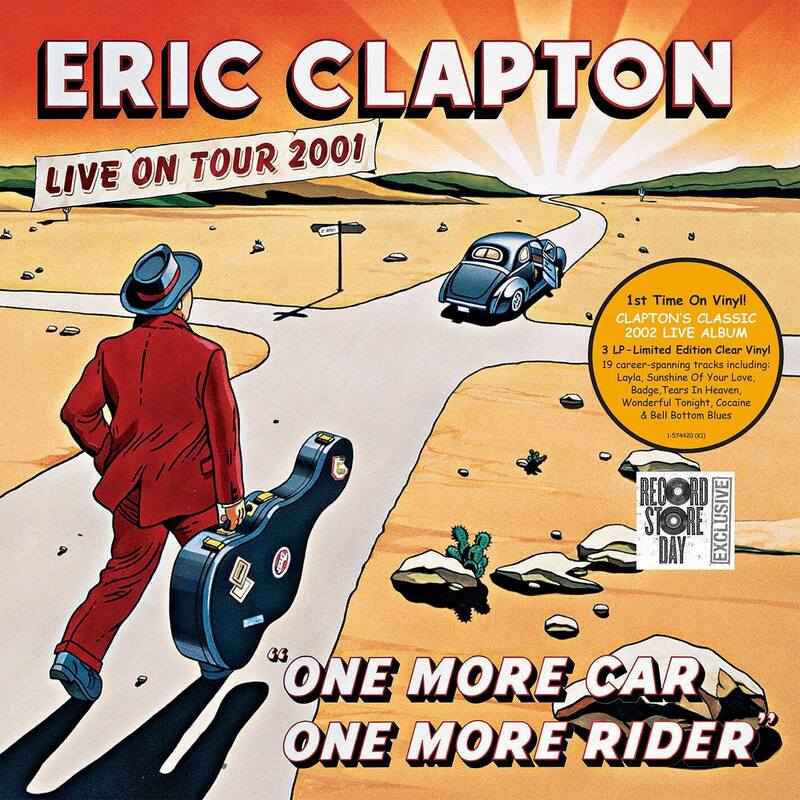 Eric Clapton—One More Car, One More Rider [Warner Bros., 3xLP, 3000] The 2001 live collection features recordings from a two-night stand at the Staples Center in Los Angeles. Crosby, Stills, Nash & Young—4 Way Street Expanded Edition [Atlantic, 3xLP, 9000] The legendary 1971 release, of performances from the Fillmore East, is pressed on 180g vinyl. Bob Dylan—Blood on the Tracks Original New York Test Pressing [Legacy, LP, 7500] Months before Dylan released Blood on the Tracks in early 1975, a small number of test pressings were circulated, consisting entirely of material from sessions at A&R Recording Studios in New York City. Those original records were soon bootlegged, and the alternate history of one of Dylan’s most acclaimed works was born. This LP is an exact duplicate of the test pressing, containing unique mixes from the New York session available for the first time. Fleetwood Mac—The Alternative Fleetwood Mac [Rhino/Warner Bros., LP, 12,500] Following the format of previous Fleetwood Mac RSD releases, this one features alternate takes mirroring the original 1975 album, from the Fleetwood Mac deluxe edition, including early versions of “Monday Morning,” “Landslide,” “Rhiannon” and “World Turning.” On vinyl for the very first time. Elton John—Live From Moscow [UMC/Mercury, 2xLP, 4000] He was the first Western rock star to ever perform in the country. The show in Moscow on 28th May 1979 also features Ray Cooper and was broadcast on BBC radio in the UK. This special 2LP release for Record Store Day 2019 is taken from the original broadcast masters. Janis Joplin—Woodstock Sunday August 17, 1969 [Legacy, 2xLP, 3000] Her legendary performance at Woodstock came just weeks before the release of her first solo album, I Got Dem Ol’ Kozmic Blues Again Mama! Both that record and this live set, available on vinyl for the first time on Record Store Day 2019, pointed to the new, exciting direction her music would take and helped define an incredible moment in music history. 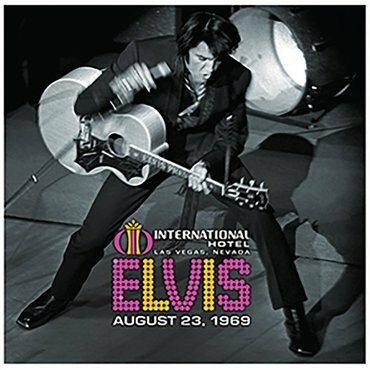 Elvis Presley—Live at the International Hotel, Las Vegas, NV August 23, 1969 [Legacy, 2xLP, 3000] Wow! Following his triumphant comeback special for NBC at the end of 1968, the King made a highly publicized return to live performance in 1969, booking an exclusive engagement at The International Hotel. Elvis treated audiences to a raucous rock set of such songs as “Mystery Train” / “Tiger Man,” “I Got a Woman,” “Suspicious Minds” and “What’d I Say.” Previously unreleased. Rolling Stones—Through the Past Darkly [ABKCO, LP, 7000] Housed in restored Octagon jacket, with die-cut back sleeve showcasing color-coded Stereo inner sleeve. Pressed on 180g Orange vinyl, limited edition to North America manufactured locally in the USA. Leon Russell—Live at Gilley’s [Varese, LP, 1350] Recorded on September 17, 1981, at the world-famous Gilley’s nightclub in Pasadena, Texas, with his New Grass Revival Band. Sly and the Family Stone—Woodstock Sunday August 17, 1969 [Legacy, 2xLP, 3000] Despite going on at 3:30 in the morning, Sly & the Family Stone delivered an explosive set at the Woodstock Music & Arts Festival on August 17, 1969. Five decades later, this energetic performance makes its vinyl debut, offering powerful renditions of classics like “Dance To The Music,” “Everyday People,” “I Want To Take You Higher” and more. Cool Site !! Thanks for letting Me Join !. Good Info and news, I like it. Keep up the good work. I am an avid Vinyl Record collector with a collection of over 11,000 LP’s (and 5000 +) Cd’s. and hundreds of 10″ and 45’s.